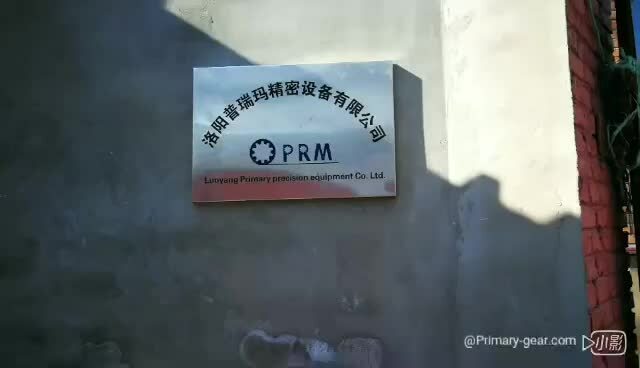 Luoyang Primary Precision Equipment Co.,Ltd is located in Luoyang of China, it is a professionally engaged in designing and manufacturing machinery parts and non-standard machinery parts that including gear, shaft, roller, reducer, non-ferrous and other different types of machinery parts. The products are widely used in the fields of mining, aluminum plant, sugar plant, steel mill, building materials, petrochemical and other industry. There are many produce equipment and test instrument including different kinds of vertical and horizontal lathes, gear grinding machine, gear hobbing machine, gear shaper, drilling machine, grinding machine and etc. And more than 50 series of test instrument including ultrasonic detector, hardness tester and etc. The core technical person in Primary has more than 20 years working experience and Primary can provide services of designing, engineering, on-site measure and install, technical support. Quality is the basic, Primary controls the total quality from raw materials to whole producing program strictly. Every step is under the strict controlling and inspecting. Primary always take its mission to provide customer with on time delivery of quality products and efficient services.